The annual American Association for the Advancement of Science (AAAS) meeting was recently held in downtown Washington, DC. The meeting is a great opportunity to connect with colleagues and attend fascinating scientific lectures on a variety of topics from brain-machine interface to the science of farting. Yes, today’s video post answers an age-old question: how much farting force would be required to achieve liftoff? The speaker is Chris Smith from the University of Cambridge and creator of the podcast The Naked Scientists. Although the subject of his talk may seem ridiculous, it was certainly memorable. And herein lies an invaluable insight into effective communication – if you want your message to stick, make it stand out. At this very same meeting were dozens of other presentations on scientific topics, but I would bet that none used humor and sheer weirdness as tools for connecting with the audience and ultimately ensuring a lasting impression. How could you use humor and weirdness to make your next presentation more memorable? 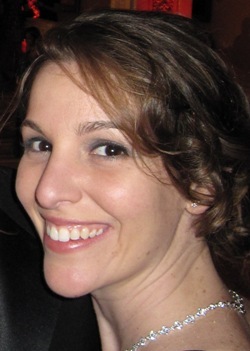 A special thank you to guest blogger Lorien Benson, the DC-area regional promotions director for Regal Entertainment Group. With the 83rd Annual Academy Awards airing on Sunday evening, she's offered her take on what is sure to be the talk of the weekend (and Monday's water cooler!). Who is going to be the big winner at this Sunday’s Oscars? Most of us in the industry have already seen or figured out the future. Now don’t get me wrong this year’s Oscar nominated films are all outstanding and I enjoyed watching them all, but part of the fun is deciding and debating with friends about who will win. The sheer rush of jubilation I normally get when I make my final decision and fill out my ballot just isn’t there this year; it doesn't have the same mystique since it seems so predetermined. We already know that even with Julia Roberts backing, Javier Baredem will be the one to make the most convincing fake congratulatory face when Colin Firth takes the stage to accept for Best Actor in leading roll. We are all secretly hoping that Natalie Portman will go into labor during the live broadcast while on stage accepting her golden man for Best Actress in a leading role. As a side note, though I am not totally sold on the new 10 title upgrade for the Best Picture category I am excited to see that it does open doors for deserving films that may never have been nominated. Inception or even Toy Story 3 - though both fantastic films - coming out in early summer would have hurt their chances in years past; but with 10 choices they get to sneak in there even without all the hype of recent openings surrounding them. And, if there weren’t 10 choices this year, Netflix would not have had a run of Winter’s Bone discs (and I would have been able to watch it sooner). This brings me to the actual top dogs in the category; the films at a disadvantage by the looming number of choices. Though we can safely narrow this category down to a top winner there are people out there still pulling for The Social Network and The Fighter. My money, however, come Oscar night will be on The Kings Speech! With the new younger hosting talents of Anne Hathaway and James Franco (who is also nominated for Best Actor on Sunday), the Academy is hoping to appeal to the younger generation who tune in to see if The Social Network brings home any gold. Which, it most likely will in the Best Director and Adapted Screenplay categories for David Fincher and Aaron Sorkin, respectively. There will be a musical performance of “Coming Home” from Country Strong by past Oscar winner Gwyneth Paltrow who is up against two Disney numbers in the Original Song category. It seems like the only big surprises won’t be related to heavy statues at all. Let us not forget the reason we all watch the Oscars: for the RED CARPET, of course! Who doesn’t like watching beautiful people in beautiful clothes while stuffing themselves with snacks on friends’ couches in comfy flannel pajamas? No matter what your thoughts are on this years race for the golden man the show will go on and we will all be tuned in to watch it! Have your own thoughts on Sunday’s Oscars? Leave a comment and challenge Lorien’s picks by completing this ballot. The person with the most correct selections* will win a prize from Regal Cinemas and New Voices. *If there is a tie, a random number generator will select the winner. Capitol Hill is buzzing over the budget these days. But for those of us not fully in tune with the budget process, all of the talk might sound like little more than, well, a buzz in our ears. We can’t, however, brush it off: budgets for the NIH, FDA, CDC, and other important agencies are in danger of being cut. This is a time for science and research advocates to both understand and get involved in the federal budgeting process. So, consider yourself automatically enrolled in Budget 101, your introduction to the federal budget. What’s going on? On Feb. 14, President Obama submitted his 2012 budget proposal to Congress. The budget will now proceed through Congressional committees and so forth (see below). What’s going on? The 2011 budget was meant to have been completed and signed months ago, but a lack of movement in Congress has left the government functioning under a continuing resolution (CR). The CR stipulates that, for the time being, all areas of the federal government receive funding at the same level as the previous (2010) fiscal year. The CR, however, expires on March 4, at which time the federal government will shut down if no budget is ready. Currently, the Republican-controlled House has passed its own version of the FY2011 budget, but the Democrat-controlled Senate will likely block that budget, forcing a compromise. About one year before the president’s budget proposal, individual agencies (like the NIH, FDA, etc.) begin planning for the latest budget. They work with the White House’s Office of Management and Budget (OMB) to come up with a budget strategy that also address the president’s priorities – fields and issues in which he’d like to see greater investment. About six months before the president’s budget proposal, agencies have submitted their budget proposals and are negotiating with the OMB. By January, budget proposals should be finalized and compiled. 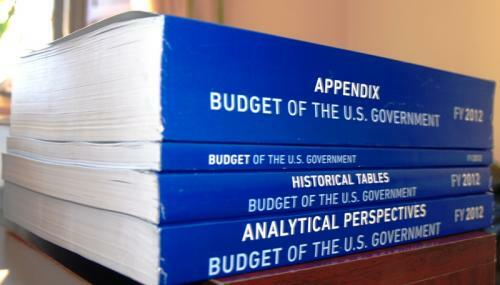 The president submits his budget proposal to Congress in February. House and Senate budget committees discuss their own overall goals for spending and government revenue, which are then voted on. In cases of disagreement between the houses, a conference committee is set up. This step should take place February through May. House and Senate appropriations committees take a closer look at the individual agency budgets and write bills that are then voted on by the individual house. Again, when there is disagreement between the Senate and House, a conference committee settles the difference. This step should take place June through September. Appropriations bills are sent to the president - hopefully before Oct. 1, the start of the fiscal year. That, however, did not happen in time for FY2011, so a continuing resolution was passed instead. Continuing resolutions are not uncommon, but it is rare for a resolution to expire and lead to a government shutdown. If you’d like to learn more, check out The Washington Post’s interactive feature on the budgeting process, or this AAAS presentation on the budget process and R&D investment. Also, be on the lookout over the coming weeks as Research!America’s own website is updated with information about the federal budget. After reading Kate's series on the Economic Impact of R&D, a bunch of folks have shared this article with me on Looking to the Future of the Biomedical Workforce. Thoughts? Speaking of women who happen to be making waves online, a wave is rippling through the science blogosphere, and Christie from Observations of a Nerd has a really articulate post on being both a woman and a blogger. Know any great science bloggers of either gender? Nominate them for the National Academies Keck Futures Initiative. This is your chance to let the world know about some of the most awesome science communicators, and it isn't restricted to online mediums, click through for more information including nomination deadlines. We talk a lot about getting more research into mainstream media on New Voices. One component of the discussion that hasn't been brought up much though is not having full access to the scientific information being reported on. This big think piece on the Death of Monogamy, Greatly Exaggerated closes with an argument that's hard to refute. Who wants to participate in this science journalism jargon-free challenge? Anyone willing to participate is eligible for some great science communication prizes. Finally, we officially missed National Delurker Day 2011, but better late than never. You don't have to have anything substantive, just give us a shout in the comments to say hello and let us know you're here! *Post corrected 2/24/2011 to give appropriate credit. Or, check out Chris Mooney's presentation in full screen vision on NIH's website. When I arrived in DC a couple of weeks ago, I was excited to see many famous places for the first time: the White House, Washington Monument, Lincoln Memorial and others. Which major attraction did I see first? The NIH campus. Alright, it might not be every tourist’s top choice, but the NIH campus in Bethesda, MD is a place I’ve heard and read about for years. So when Heather asked me to attend a lecture there by Dr. Rajiv Shah, the current USAID (US Agency for International Development) administrator, I was more than happy to visit. It turned out, however, that I wasn’t the only one having my “first time” on the NIH campus. 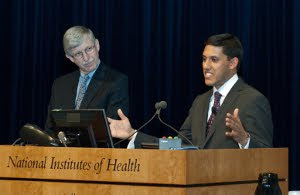 NIH Director Dr. Francis Collins introduced Shah and noted that this was the first time a sitting USAID administrator had addressed the NIH. It was a bit a surprising: two closely related – and physically close – government agencies never having that kind of interaction. As Shah soon described, the bond between USAID and the NIH certainly has plenty of room to grow. He first brought up a few cases in which the NIH has already contributed to USAID work: An NIH-funded study called First Breath has led to the development of a program against newborn asphyxia. An NIH study that discovered circumcision can reduce HIV transmission has brought on a circumcision campaign in Swaziland. And NIH studies on antiretrovirals and gel microbicides have USAID looking further into those HIV prevention strategies. My hope now is that everyone involved in promoting health – whether health care providers, researchers, or their supporters – recognize that this “massive engine” should be interacting, working together, and, of course, visiting one another. The majority of people might not have the opportunity to visit the NIH, like I did, but together we can bring its discoveries and its benefits to their doorstep. Fun fact: If you name almost any movie, Christian can give you its box office statistics. He says his interest really started when Spider-Man broke the $100 million mark for opening weekend (with $114 million) in 2002. Since then, one of the most interesting movies was Avatar, which had "great legs" - or a great multiplier - from its opening weekend ($70 million) to its final total (over $700 million). We're excited to have Christian on board and look forward to more exciting posts like his first, Nerd Alert: Stop the Bullying. Welcome him to New Voices! Across the country, groups like FASEB and Research!America are speaking out about the federal budget debates going on in Congress. We must act together and in a unified voice to protect research. The House of Representatives is debating unprecedented multibillion dollar cuts to the budgets of the NIH, CDC, AHRQ, FDA and NSF. These proposed reductions are a serious threat to our nation's health and economic competitiveness. Contact your members of Congress today and tell them funding for health research is vital to curing diseases, generating jobs now and in the future, and securing the economic well-being of America. Congress must hear from our community in a unified and timely way or vital research will be at risk. This Tuneage Tuesday, we want to share two upcoming opportunities for learning more about science communication. A presentation and discussion with Dr. Kathy Barker, author of At the Helm: Leading your Lab. This is a free and virtual event. To attend this Seminar, RSVP to fellow New Voice Brie Welzer at brielle.welzer@sefora.org. Thursday, Feb. 17: Check out a screening of "The Human Spark" and have a discussion with science communication experts at American University in Washington, DC. In 1991, Mario Signorile of Margate, Florida, knew something was wrong when he suddenly lost feeling in his left arm. After some tests, Mario's doctor told him that he had blockages in his heart and, without treatment, he only had a few weeks to live. Mario underwent a triple bypass and within weeks was back to his normal activities—including going on cruises with his wife Mary. Eleven years later, Mario suffered a heart attack that permanently damaged a third of his heart. He received an implantable defibrillator that monitors his heartbeat and administers an electric shock to his heart when there are dangerous irregularities. Since his first defibrillator was implanted, Mario has had only one heart attack, in 2010. He was able to go home after a brief hospital stay and, a month later, celebrated his 90th birthday with his family. Twenty years after his initial diagnosis, Mario and Mary have watched their family grow and now enjoy visits from their great-grandchildren. "Without medical research, I wouldn't be here today," Mario says. "It prolonged my life." Investment today saves lives and money now and tomorrow. Research conducted before I was even born helped make it possible for me to grow up with my Pop-Pop in my life; sharing birthday cakes and learning old family stories. This is one of the many reasons why I am an advocate for research. What motivates you? New Voice Sheril Kirshenbaum on the Today Show! It’s a name you’re most likely proud of today. Most of us who go into science embrace the fact that we’re nerds because we love the field, and we have an appreciation for the many great things that come out of it. Across the country, however, there are kids being called nerds for all the wrong reasons. Like generations before them, kids today have to put up with shots at their sexual orientation, economic status, appearance, and academic interests. We can change this. Today is National Stop Bullying Day, and as happy, successful, grown-up nerds, we can show that there’s nothing bad about an interest in science. For one, we can stand up as role models. We can show that our academic interests carried on through elementary, middle, and high school – no matter what people might have said – and flourished into successful careers. Bullies’ talents for calling people names can’t flourish into careers (unless they go into politics or punditry, I guess). We can also help today’s nerds by speaking up for the value of what we’ve accomplished. Medical and health research especially have the power to change and save lives. There’s nothing funny about that. And even if some people don’t find science interesting, or would never want to associate themselves with nerds, they at least respect the fact that nerds have made our world a better, safer, and healthier place. 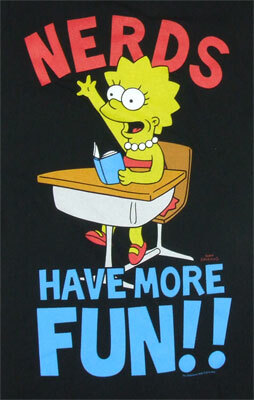 Lastly, we can do our part to advocate for the nerd work of tomorrow. Whether young nerds go into healthcare, policy, or – you guessed it – research, we have a responsibility to make opportunities for them so that they, too, can prove their bullies wrong. 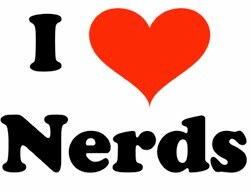 So today, while you go about your lab or office, think about what it means to be a nerd. Then think about what might have happened to those people who called you a nerd to hurt you. When you’re done, you’ll probably agree that bullying is no way to live your life or contribute to society. For everyone’s sake – not just the nerds’ – it’s time for the bullying to stop. Ingenuity and innovation meet exercise and health. Special note for DC-area folks: Do you think we could petition WMATA for this and maybe some slides for the passageways to the metro? It’s not what you know, it’s who you know. Right? WRONG. In a down economy, knowing the right people might get you through the door, but it won’t get you the job. Sure, having a solid network that can vouch for you is important, but at the end of the day the hiring manager is putting money down for you, not your network. Ask for advice. Many job seekers will ask for informational interviews. These can be helpful, but rarely develop into an offer. Instead, find the person who has your ideal job and ask them for career advice. Most people are always willing give advice, especially if there is no expectation of hiring. Cast a wide net. Describe your skill set as broadly as possible in order to appeal to a range of organizations. Diversify your inquiries, but beware of overselling yourself. Do your research. Find out what makes your ideal organization tick. Look at the website, know the leadership, and follow the money. These simple steps will help you develop a pitch that proves your value. Convey your passion. We all need money, but nobody wants to hire someone who is interviewing so they can pay the bills. Show them how your drive and personality matches their mission and organizational vision. Mock interviews and practice questions can really go a long way in improving your polish. Say thank you. People are busy and under-appreciated. When they take the time to talk to you, make sure they know how much you appreciate their time and consideration. States can put in place technology transfer programs to help with the commercialization process of new technologies developed through research, which will allow the incorporation of knowledge and innovation into the marketplace. Bioscience research requires specialized facilities, which can be costly. State governments can help offset this cost to support small and emerging bioscience companies. 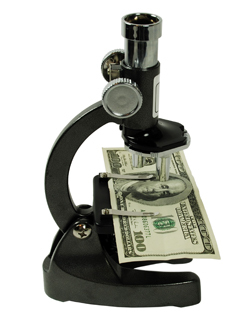 Innovative research and its commercialization often require private equity funding. States can help by passing measures that encourage venture capital and discovery fund investments in the bioscience sector. In order to maintain a bioscience industry, there must be an educated and technically proficient workforce. States should ensure that they can educate and retain qualified employees. It is the role of legislators to ensure a public policy framework that maintains a stable business climate and allows incentives to attract biotech companies to the region. Many states have begun bioscience initiatives that cover one or more of these enterprises. What is your state doing to support biosciences and bolster the economy? This is Part 4 of 4 in our Economic Impact of R&D series. We saw earlier that R&D investment has far-reaching economic effects. This is true in individual states as well as across the nation. a score encompassing societal factors that reflect the health of each state’s economy, such as unemployment and underemployment rates. Using this information, I calculated an economic impact score, which reflects the effect R&D has on each state’s economy. For ease of comparison among states, each state was ranked based on this score, and you can see it visually on the map. California, New Jersey, and Massachusetts are leading the nation, while Louisiana and Mississippi are falling behind. To find information about R&D investment and jobs in your state, take a look at Research!America's website. In the next post in this series, see what a state can do to garner the economic benefits of R&D. This is Part 3 of 4 in our Economic Impact of R&D series. As the National Commission on Fiscal Responsibility and Reform understands, smart spending is beneficial and will ultimately jumpstart the economy. Investment in R&D actually creates well-paying jobs in a time of record unemployment, thus strengthening the economy. In 2008, the first year of the recession, the bioscience industry was able to support a 1.4% growth in employment while total private sector employment fell by 0.7 percent. There are over 1.3 million Americans employed in the bioscience sector, where jobs pay about $22,000 more than average private sector wages. Earnings for workers in the bioscience sector have increased by 10.1 percent since 2001, whereas earnings for private sector employees have increased by only 3.2 percent in the same time period. The biosciences have an even larger impact outside of their own industry. For every new job in the biosciences, another 5.8 jobs are created, employing even more Americans. Funding R&D boosts business activity: Every dollar invested by the NIH - a large funder of medical research in the US - generates more than 2 dollars in state economic output, for a total of over $50 billion in new business activity generated in the US in 2007. The money invested in research creates well-paying jobs and circulates through the economy, benefiting communities, states and the country. This is true for the nation as whole as well as individual states. Check out the next post in this series to understand the impact on states. This is Part 2 of 4 in our Economic Impact of R&D series. Research is a noble pursuit. There are long hours of work, sometimes with no results to show for it; yet, researchers persist. Most scientists I know enter the field because they want to do something that positively affects society. Often, we think of the health impact that research has—treating diseases and saving lives—but there’s more to it than that. Research supports scores of well-paying jobs, which keeps the regional economy strong, even in difficult economic times. Like others, one reason I pursued research was to help people and society. After graduate school, I realized I wanted to effect change from a broader perspective than my graduate work was allowing, so I accepted this position as a science policy fellow at Research!America. I have learned a lot about government, advocacy and science policy at Research!America - things I couldn’t have learned in the lab. One of the messages that Research!America focuses on that really interested me was the economic impact of research. It’s been eye-opening to understand the positive effects research can have beyond the health aspects that we typically think of. It is the right time to get the message out that research and development can bolster the economy. The US is currently in a difficult position. The economy has slowed considerably, unemployment is through the roof, and you can’t listen to the news without hearing how large the country’s debt is. Many of members of the new Congress have vowed to cut spending to ameliorate the debt. But, according to others, we can’t jump-start the economy without spending. The recent report by the bipartisan National Commission on Fiscal Responsibility and Reform clearly stated its opinion on the matter, “…we must invest in education, infrastructure, and high-value research and development to help our economy grow, keep us globally competitive, and make it easier for businesses to create jobs.” Let’s hope our legislators understand this point. The next post in this series describes some of the economic benefits of research and development. This is Part 1 of 4 in our Economic Impact of R&D series.